Sailing yacht SOUTHERN STAR was launched in 2004 by Southern Wind Shipyard, she features naval architecture by Reichel Pugh, her interior and exterior designs are by Nauta Yachts of Italy. 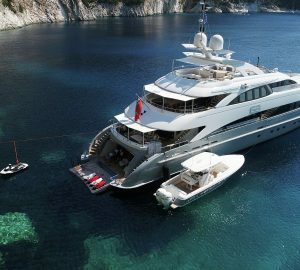 At 23.95m (78.7ft), hull number 5 of the successful RPN 78 series, offers accommodation for 6 charter guests, in 3 ensuite cabins. The interior décor is timeless and refined. Beautiful warm toned teak woods are complimented by contemporary neutral soft goods, finished in a sophisticated and elegant white. Her main salon is laid to an open plan, with the formal dining to port and a small settee to starboard. On the port side, a U shaped sofa comfortably surrounds a high gloss formal dining table that easily opens to seat guests in elegance. Accommodation is in 1 master stateroom, located forward of the salon, with a full beam layout, king size bed and generous ensuite. Aft of the salon on the port side, is the twin cabin, while to starboard is a bunk bed cabin. The yachts well-appointed galley and crew quarters are at the stern, all of which can be accessed from a private crew companion way, or from within the yacht, ensuring guests optimum privacy. 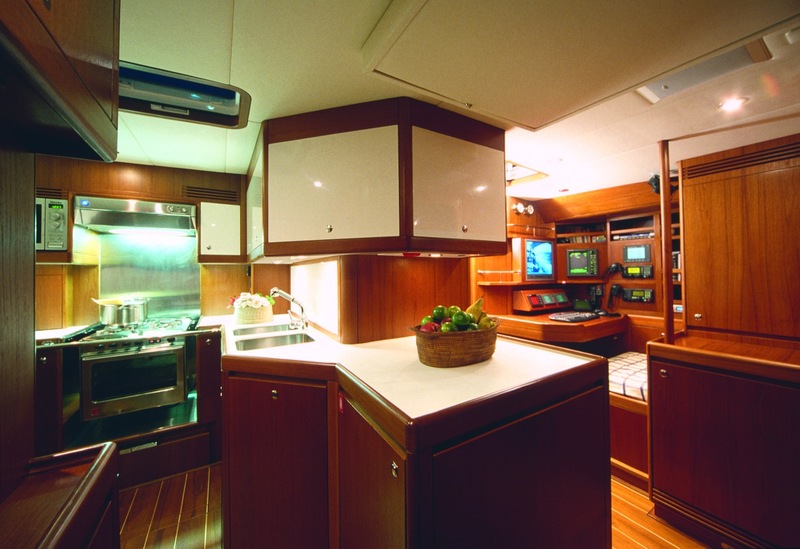 S/Y SOUTHERN STAR’s flush style teak decks are both impressive and spacious. From the salon, a guest companionway leads up into a large cockpit, complete with wrap around seating and an alfresco dining table and optional shade. Dual helms are in a separate aft cockpit, where all her sailing is managed from, freeing up even more deck area for relaxation. The yachts wide side decks provide easy and safe access to the capacious foredeck, perfect for sunning. Water enthusiasts will find the fold out swim platform on the transom, ideal to make the most of the water toys available. This RINA classed cruiser – racer sloop rigged yacht has a performance hull design, with racing accolades to match. When not under sail, the yacht is powered by a Yanmar 4LHA-STP 177kw engine, she has cruising speeds of 10 knots and top speeds of 14 knots. Accommodation is in 3 ensuite cabins, for up to 6 charter guests, comprising 1 master stateroom, 1 twin cabin and 1 bunk cabin. The master stateroom is forward of the salon, with a full beam layout, king size bed and generous ensuite. 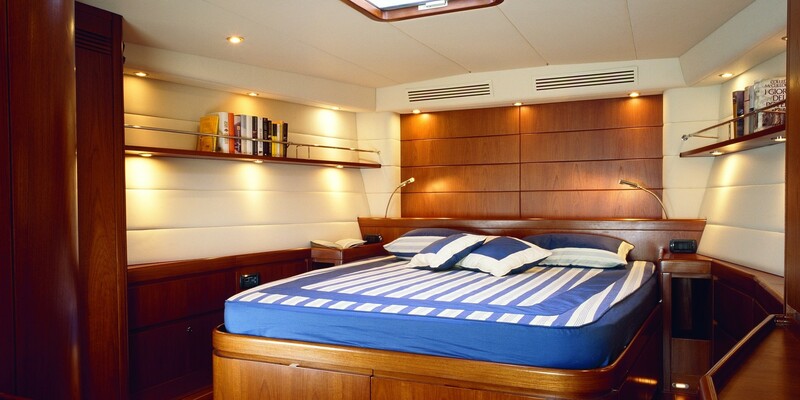 Aft of the salon to port is a twin cabin, offering side by side twin beds, while to starboard is a bunk bed cabin, featuring upper and lower single berths. SOUTHERN STAR is fully air conditioned throughout her sumptuous interiors.